Family and supporters of Khaled Al-Qazzaz rallied Saturday to call on the Canadian government to do more to help him and Canadian-Egyptian journalist Mohamed Fahmy, both of whom are being held in harsh conditions in Egyptian jails. Al-Qazzaz, a Canadian resident, was the secretary of foreign affairs for ousted Egyptian president Mohammed Morsi and has been jailed for nearly a year. Earlier this week an Egyptian court handed down long prison sentences to Al-Jazeera journalists accused of supporting the Muslim Brotherhood through their coverage. Fahmy was sentenced to seven years in prison on terrorism-related charges. Saturday's rally outside Toronto included calls to help them and others who are facing a bleak future in Egyptian prisons. Al-Qazzaz's wife, Sarah Attia, who returned with her four children to Canada earlier this year to plead her husband's case, attended the rally. She was born and raised in Canada. Attia said her husband and Fahmy are held in tiny solitary confinement cells, two metres by two metres in size. "No window to the outside. No way to tell time. No pen and paper. No change of clothes. He is sleeping on a floor with nothing but a hole they call a toilet," she told CBC News. "The conditions are horrific and they are not criminals. My husband has done nothing wrong." The rally came a day after Foreign Affairs Minister John Baird hit back against allegations that the government is taking a quiet approach to freeing Fahmy because of its close ties with Israel. "We're perhaps not the loudest, but I think that if you want to get someone to do something and you have a relationship with them, you're best to try to be effective rather than loud, and that's what we're doing," Baird told CBC News. 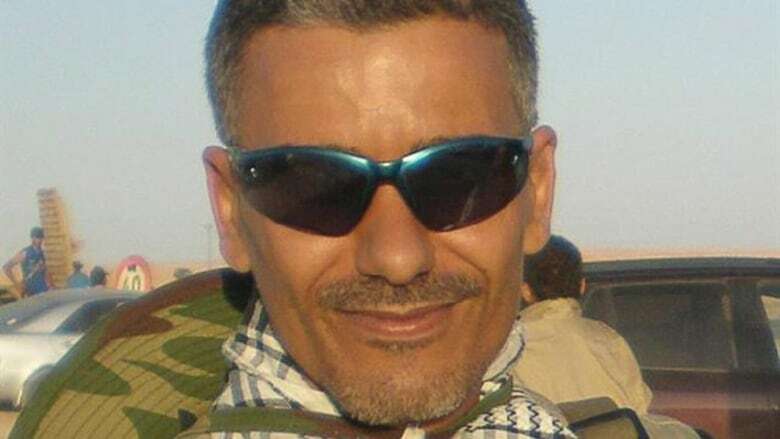 Fahmy holds Egyptian and Canadian citizenship, which can make it more complicated for Canada to intervene. Baird insists the government is doing everything it can to free Fahmy and others. He cited the government's success at negotiating the release of Canadians John Greyson and Tarek Loubani from an Egyptian prison last year. "I appreciate and respect that. If quiet diplomacy is what they are willing to use to help my husband and Mohamed Fahmy that is fine, but I need to see results," Attia said, emphasizing the long prison sentences. "Whatever Canada has been doing is not enough. Canada needs to do more — quietly, or loud and clear." Attia said the Canadian Embassy in Cairo has been very helpful: "They are trying to keep me and my kids safe and trying their best to better Khaled's conditions." But, she added, there has been limited success. "Minister Baird's office has shown support but, like I said, not much in terms of results has been seen. There are a lot of things Canada can do to help me so that his conditions can get better" she said. 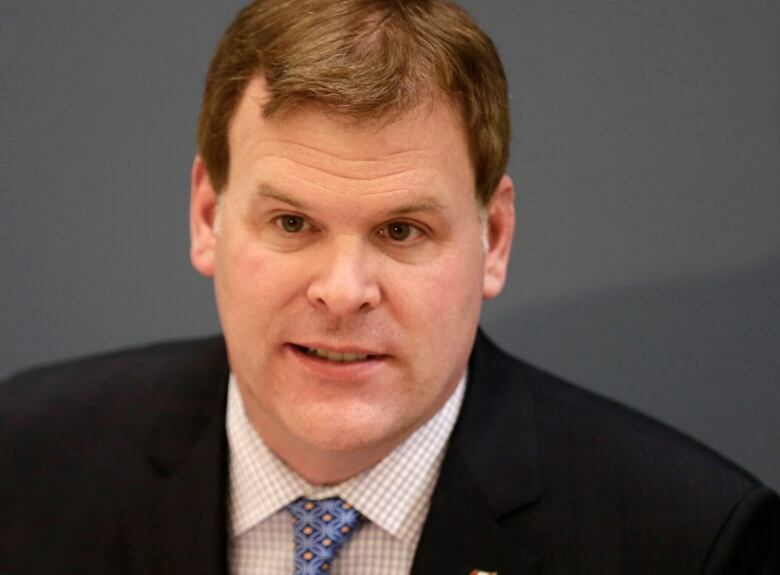 On CBC Radio's The House, Baird told Evan Solomon that "there are some people in this world that want to blame every single problem on Israel, the Jews … it's deeply offensive and ridiculous." Baird was being asked to respond to comments Canada's former ambassador to Egypt, Ferry de Kerckhove, made on CBC News Network's Power & Politics on Tuesday. "I think our government puts the security of Israel ahead of some of the fundamental values they pretend to be fostering, De Kerckhove said. "It's very interesting, because I'm absolutely convinced that the policy adopted has far less to do with dual citizenship of Mr. Fahmy than it has to do with not rocking the boat in the region," he said. Baird rejected the criticisms and said de Kerckhove was working for the interests of Qatar's government. "Let me be clear, he's working for the interests in Qatar. He does work for Qatar Airways … That's a pretty important conflict of interest to raise, don't you agree? He's on the payroll of the Qatari government," he said. Al-Jazeera, the news organization that Fahmy work for, is funded by Qatar. There are concerns that those ties and Qatar's connection to the Muslim Brotherhood are why Egypt imprisoned him. Baird said "they [Qatar] were funding the Muslim Brotherhood, so it's more than a relationship." In an email, de Kerckhove responded to Baird's allegationsv and clarified that he was not on the payroll of the Qatari government, but was doing government relations for Qatar Airways from Aug. 1, 2012, to July 31, 2013. His contract was not renewed.